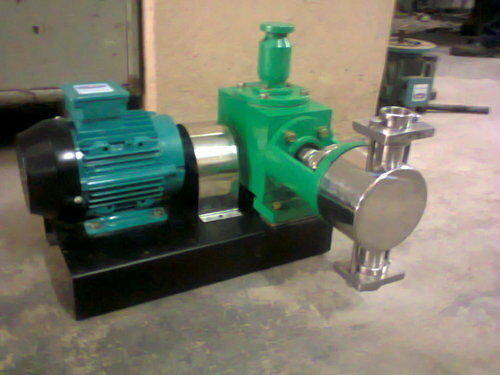 We are one of the renowned names in designing and marketing a quality assured range of metering pumps that is extensively utilized in engineering and process industries. 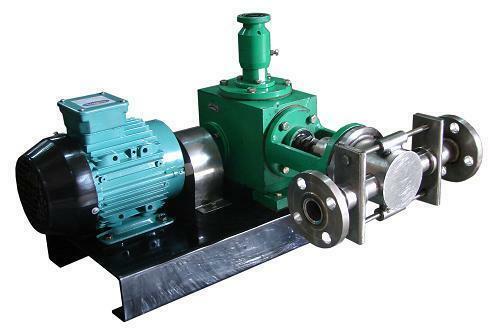 These metering pumps are known for their sturdiness and dimensional accuracy, and are subject to customization at the discretion of our clients. Our range includes reciprocating pumps, fluid transfer system, fluid metering pumps, dosing pumps and slurry transfer pumps. 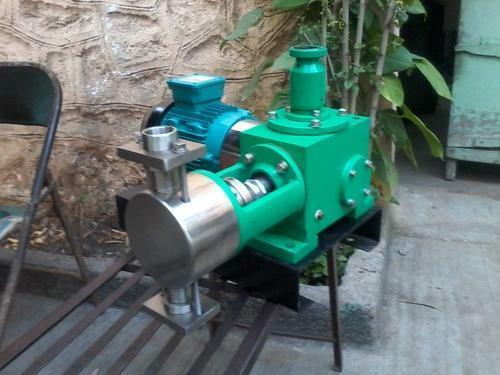 These type of pumps are designed as per API 675 STD and suitable for to use for highly aggressive chemicals , petroleum products, costly chemicals. It is designed with double diaphragm which will save the chemical in case of diaphragm rupture without interuption in your process. Diaphragm rupture is indicate by pressure gauge or hooter. all accessories and wetted parts are in PTFE, it is available in flameproof and non flameproof models too. 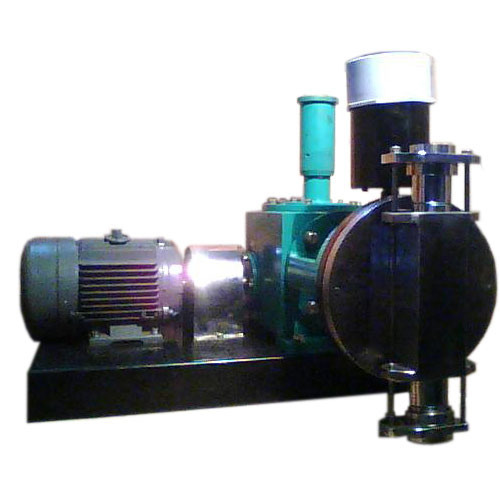 Triplex Plunger pump offered come designed and developed using latest technology support and provides for consistent working support. Further, it bears strong structure as well as provides for high pump pressure. 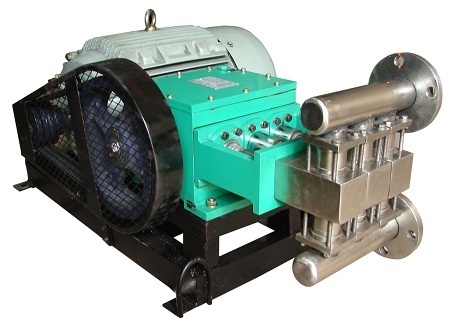 Some of its features include meets demands of large displacement and drilling process requirement; maintain low speed use; support effective improvement in pump water performance; allow extended life of hydraulic end wearing parts; offering advanced, reliable operations; cross head structure based transmission mechanism; vacuum cold junction jacketed finish for small cool loss; good abrasion resistance; offering flexible and convenient performance. 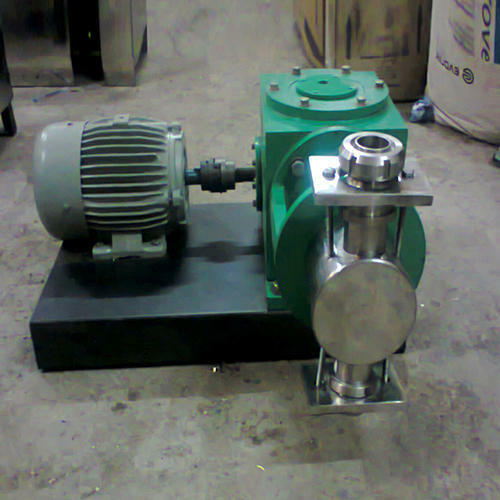 Fluid Metering Pump offered feature quality construction finish and can be made available in different widths and flow capacities. Developed using precision molding technology, these are perfect for use in different industrial applications. 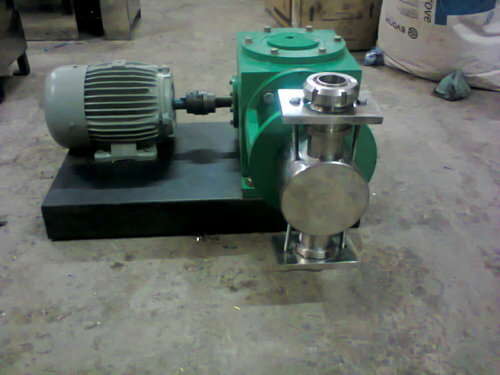 Some of its features include coming with excellent resistance to corrosion, coming with fixed-speed normal DC gear motor, choice of stepper motor for low-noise motor operations, capacity & stroke adjustment provision, low level shutoff with alarm output, remote ON/OFF control support, suitable for use in dishwashers, analytical instrumentation, food machinery, car wash equipment and other areas. Capacity: 0 to 190 ltr./Hr. End Connection: 15 NB# 150# 300 Flanged End at suction and delivery. 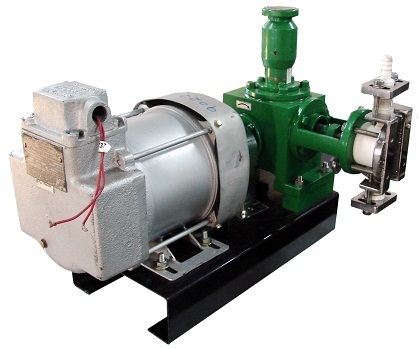 Diaphragm Pumps offered come with superior idling capability and allows easy and convenient transmission of adhesive liquid and large particles. Further, these also allow convenient change of air supply to adjust flow and find application a metering pump, chemical pumps and others. Some of its features include support of thermo-stable PTFE diaphragm, superior heat resistance, anticorrosive and non-toxic diaphragm finish, wide working temperature range of -200°C to +250°C, ultra low abrasion, superior mechanical properties among others. 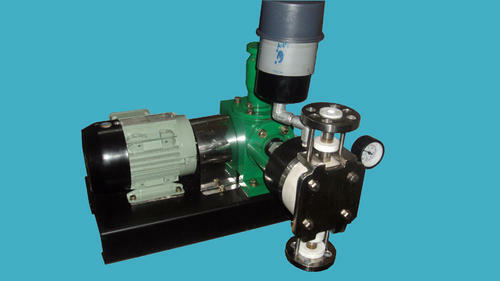 We manufacture and supply "Dosing Pumps". Suitable for materials like waterproofing plugging agent, polyurethane foam, epoxy resin, insulation materials and others. 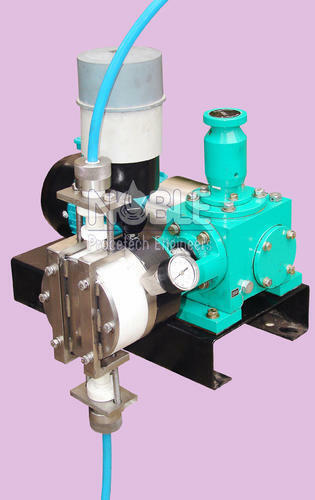 Viscous Slurry Transfer Pump offered is backed by reliable technology support and provide for high performance as per the specific process needs of the customers. 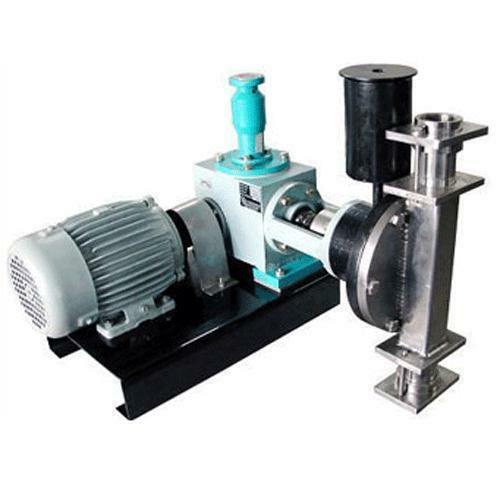 Finding suitability for pumping of foam concrete, these industrial high viscous slurry transfer pumps come with advantages like no sealing element and leakage free operations. Some of its features include based on advanced technology support, high self-priming & self- cleaning ability, allows for simple hose installation, easy to assemble and maintain, lower maintenance costs, long service life, high suction lift and output pressure among others.